Well done to all the devotees who participated directly or indirectly in this years summer marathon. In total there were over 104000 books distributed. 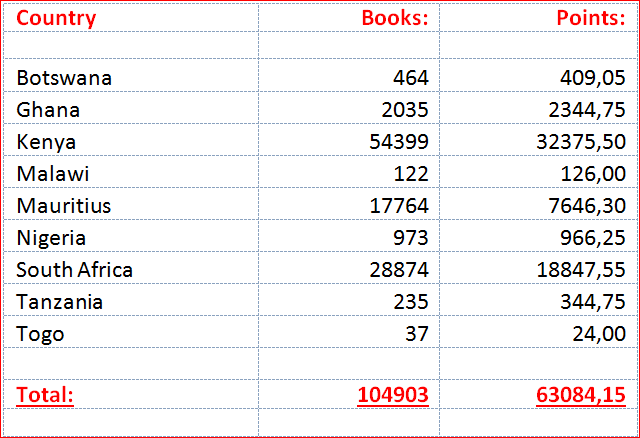 A special mention to the devotees in Kenya for distributing over 54000 books during December.